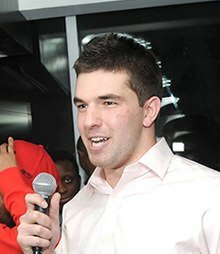 William Z. McFarland (born 1991) is an American entrepreneur and convicted fraudster who co-founded the ill-fated Fyre Festival. He defrauded investors of $27.4 million by marketing and selling tickets to the festival and other events. In 2013, McFarland founded Magnises, a company that marketed an invitation-only charge card, using $1.5 million of investor funding. He later founded and acted as CEO of Fyre Media, which developed the Fyre mobile app for booking music talent. In late 2016, along with rapper Ja Rule, McFarland co-founded the Fyre Festival, a luxury music festival intended to promote the Fyre app. The event was scheduled to take place in April–May 2017 but was aborted after attendees arrived, due to issues with security, food, logistics, understaffing, accommodations, and talent relations. 6 years imprisonment, $26 million in restitution. William Z. McFarland (born 1991) is an American entrepreneur and convicted fraudster who co-founded the ill-fated Fyre Festival. He defrauded investors of $27.4 million by marketing and selling tickets to the festival and other events.